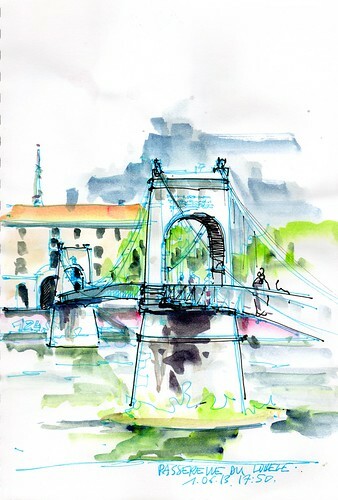 4th International Urban Sketching Symposium: 3 more weeks! 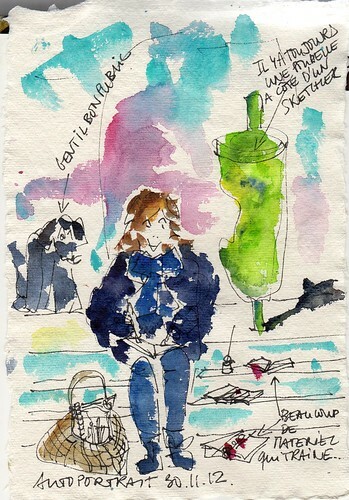 My name is Juliette Plisson, I live very very close to Paris in France, and I'm getting ready to Barcelona! it's such a pleasure to be with you this year. I couldn't make it to Santo Domingo, so I'm really really happy to come to the symposium. I attended to Lisbon's symposium, I remember how great it was. 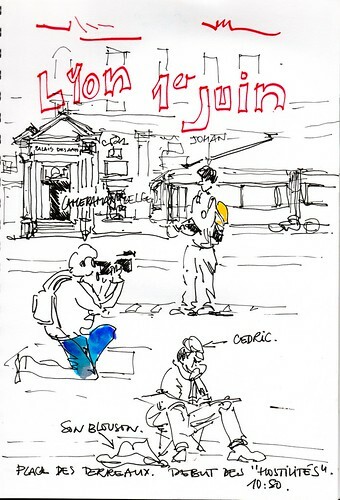 here are some of my last sketches in Lyon where lots of french USK met in june. my flickr gallery is here and here is my blog. Juliette! I was just thinking about you and wondering when you'll be there! I'll be there Tuesday as well, and will look forward to meeting you in person!! Eh, Juliette, this is going to be a great symposium ! I will be arriving before as well, so we may probably meet and draw around. Salut ! HI Juliette- looking forward to seeing you in BCN - we did meet in Lisbon? did we? it was a bit of blur- so many people... BCN will be the same! yes Jessie, I also look forward meeting you! patrizia, so happy to see you in BCN with Maria too! Hi Liz, no we didn't meet in Lisbon, I was to impressed to talk to you :-)), I really hope this time we'll do. Well we MUST meet in bcn then. Vous avez une lumière et un style de esquisse gai Juliette. Je peux seulement image de ceci que vous serez un bon nombre d'amusement à dessiner avec. looking forward to seeing you again! I still remember the dinner at l´Arrosoir with great warmth! I will be in Bcn before the symp starts too, so hope to meet you then! Nice blog! See you in BCN! hey Nina, Elizabeth, can't wait to see you all!! 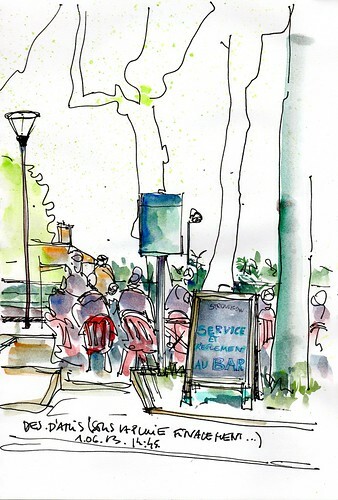 Looking forward to sketching with you Juliette!